Your little girls will look like "little ladies" in our lovely spring & summer clothing this year from our favorite designers which includes smocked dresses and outfits. 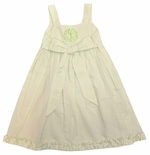 You will find traditional and classically fun girls clothes by the finest girls garment makers including Le' Za Me, Anavini, Vive La Fete, Zuccini, Funtasia, Feltman Brothers, Silly Goose and Claire & Charlie. 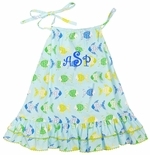 Our goal is to allow you to dress your little girls in wonderful fabrics with elegant hand embroidered smocking or big and bold name or 3 initial monograms. Not only will your little one be stylish, but she will be comfortable and warm this season as well.